As we turn the calendar to 2018, I think I can speak for all of us when I say that I’m cautiously optimistic that this year will be better than the last because, frankly, the bar seems to be at an all-time low and thus clearing it seems to be an almost foregone conclusion. One thing of which I am virtually certain, however, is that the new Metal Nation site will be both bigger and better than what you’ve come to expect from Metalholic now that we’ve combined the strengths of both entities into a single online destination! We look forward to bringing you the very best in news, reviews, and features on all of your favorite artists (and hopefully a handful you hadn’t discovered yet), starting with January’s “Artist of the Month” featuring none other than the mighty Mastodon who just recently topped our Top 50 Rock & Metal Albums of 2017 list with their exceptional album Emperor of Sand. I don’t pay a great deal of attention to mainstream metal and hard rock radio but I get the sense that Mastodon’s current standing on the grand scale of pop culture (insofar as you can consider rock/metal “pop” to begin with) is a relatively new thing, but the truth is that the current iteration of Mastodon is the product of years of evolutionary growth in and around a wide range of musical tastes and influences at the hands of 4 men whose individual talents rival the very best that metal has to offer. Speaking as someone who developed a taste for Mastodon well before their recent major label successes, Grammy nominations, etc., I must admit that it feels a bit strange to be feting them only now when I feel like they deserved acknowledgement as one of the finest metal bands in the world 10 years ago, but I’m going to try hard (and probably fail to some degree) not to turn this into a “I miss the old Mastodon” article. Instead, I’m going to trace the ascension of the band through a brief recounting of the various eras in which my good friend and fellow Metal Nation writer Brent and I personally witnessed them lumbering about their natural habitat: on stage, in front of a rabid & ever-growing fanbase. 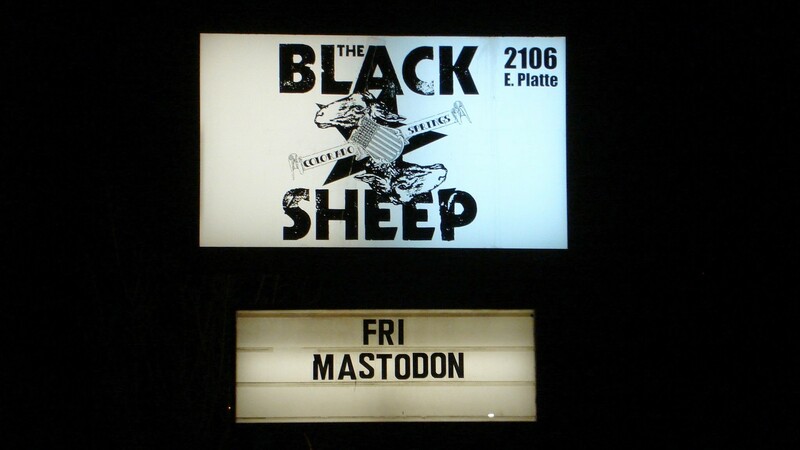 The first time Brent and I saw Mastodon live was in March 2007 at The Black Sheep (capacity 450) in Colorado Springs. 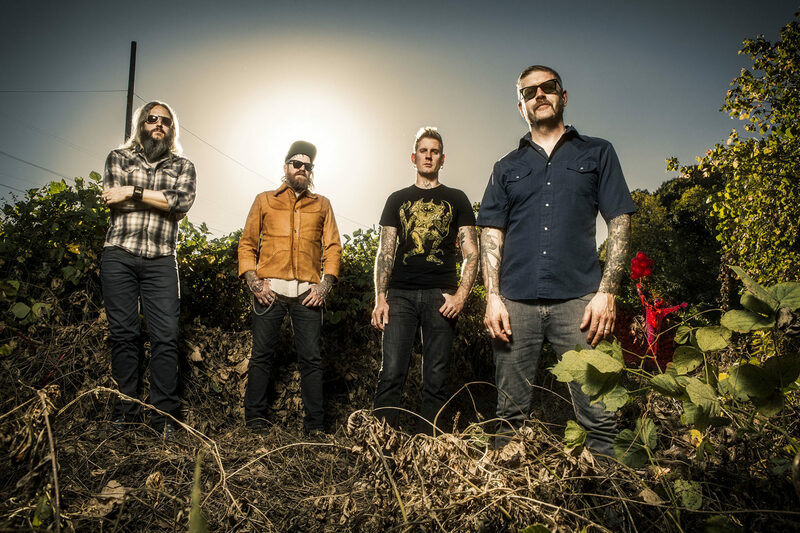 Mastodon was touring behind Blood Mountain which had been released about 6 months prior. The band’s 2 previous releases–including their debut Remission and the landmark Leviathan album–were pure audio savagery; a firestorm of speed and energy wrapped in show stopping technical ability. These elements formed the bedrock of the Mastodon sound and, in that way, Blood Mountain wasn’t a far cry from their established sound, though it more clearly brought their progressive tendencies to the fore with tracks like Capillarian Crest and Siberian Divide while also showcasing the band’s ability to write more melodic and radio-ready fare (well, for Mastodon, anyway) as they demonstrated on the Josh Homme-assisted Colony of Birchmen. As for the Black Sheep show itself, it was one neither of us will ever forget. It’s one thing to hear Mastodon on tape, and another thing entirely to stand five feet away from these mere mortals as they ripped through songs like Blood and Thunder, Crystal Skull, and Heart’s Alive with the sort of talent and cohesion that most bands can only dream of–and though they’d been together for several years by that time, they were only really just getting started in terms of growing into the live band they are today. By any measure, Mastodon’s 2009 opus Crack the Skye has to be considered a watershed moment for the band. Even more epic in scope than the two “concept” albums which preceded it, Crack the Skye was the first in which the story Mastodon wanted to tell ran cohesively from the front of the album to the back as it told a sprawling tale involving astral projection, quadriplegia, and Tsarist Russia. Sonically, the album saw Mastodon take some pretty massive risks as they deviated significantly from the ear-splitting sound they’d cultivated to that point by tossing metal conventions to the side in favor of a more classic rock sound, as well as an unapologetic and full-on indulgence of progressive rock excess. In addition to the emergence of drummer Brann Dailor as a key vocal contributor, the well documented fact that guitarist Brent Hinds–who is on the record as saying he “hates” heavy metal–wrote the vast majority of the album while recovering from a serious brain injury is without a doubt the chief catalyst behind the band’s altered course, though one could argue that producer Brendan O’Brien–who has never really been known as a “metal” producer–was hugely responsible for nudging Mastodon’s sound towards new frontiers. Crack the Skye was an album that begged to be performed front-to-back, and the band did exactly that over the course of multiple tour legs. Brent and I saw several Crack the Skye-era shows, the first of which was at the Fox Theater in Boulder, CO. Augmented by a synced visual backdrop and a brooding yet restrained stage presence, these shows marked a fairly stark deviation from the ferocious energy for which the band had become known–at least until the main set was over and the band was free to rip through their back catalogue with familiar aplomb. Crack the Skye was not only widely regarded as a critical success, it was also the band’s highest charting album to date and a direct reflection of that popularity was evident to Brent & I at a 2011 mega-concert we attended at The Gorge Amphitheatre overlooking the picturesque Columbia River Valley in Washington State. 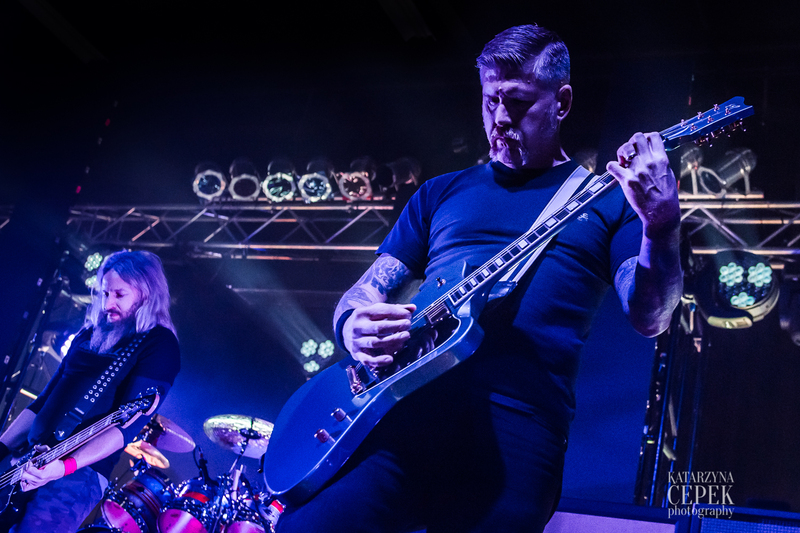 Mastodon was part of a line-up that included Queens of the Stone Age, and alternative legends Soundgarden–who were making their triumphant return to the scene after a lengthy hiatus. 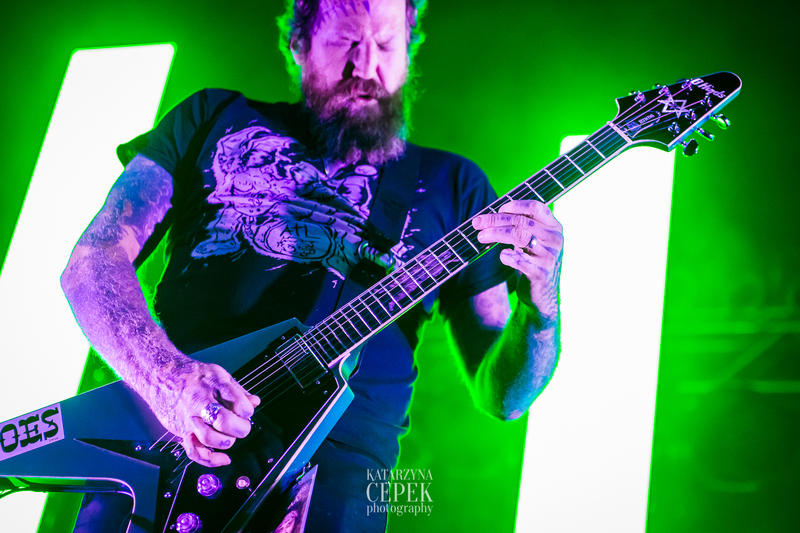 With a new album prepped for release, Mastodon brought the thunderous energy of their club shows to the 25,000+ attendees of a massive outdoor venue by delivering a setlist bursting with tracks from their first 4 albums. Well received by the audience that day, their ascension to critical and commercial heights achieved by only a precious few metal bands seemed all but assured…and then The Hunter arrived in September of 2011. Put simply, The Hunter was a significant diversion from Mastodon’s previous 4 albums. Perhaps this was the result of the suffocating artistic complexity of Crack the Skye and the unrealistic expectations it brought upon the band to continue along an impossible to maintain trajectory, but more likely is that Mastodon was simply ready to change things up. Produced by Grammy Award winning pop/hip-hop producer Mike Elizondo, The Hunter wasn’t a concept album and possessed neither the progressive leanings of Crack the Skye, nor the churning riff overload of their earlier material. The music was solid and the album has a handful of standout tracks, but it was a major adjustment for fans of old. After a few years of touring behind The Hunter, the Atlanteans returned to their home studios to record their 6th studio album, Once More ‘Round the Sun. Produced by Nick Raskulinecz, whose resume includes the likes of Rush, Foo Fighters, Ghost, & Trivium, the results were generally regarded as being a step in the right direction, if not exactly the return to form that long-time fans had hoped for. Brent and I are in agreement that the era surrounding The Hunter and Once More ‘Round the Sun is, without question, the most bittersweet for both of us as fans of the band. The magic we’d come to expect with each new Mastodon album had faded significantly, though–ironically–the band was finally enjoying the sort of commercial success we both knew they deserved as both albums cracked the top 10 on the Billboard 200 charts. Nowhere was this newfound fame more clearly demonstrated to Brent & I than at a May 2015 headlining show at the hallowed Red Rocks Amphitheatre just outside Denver, CO. 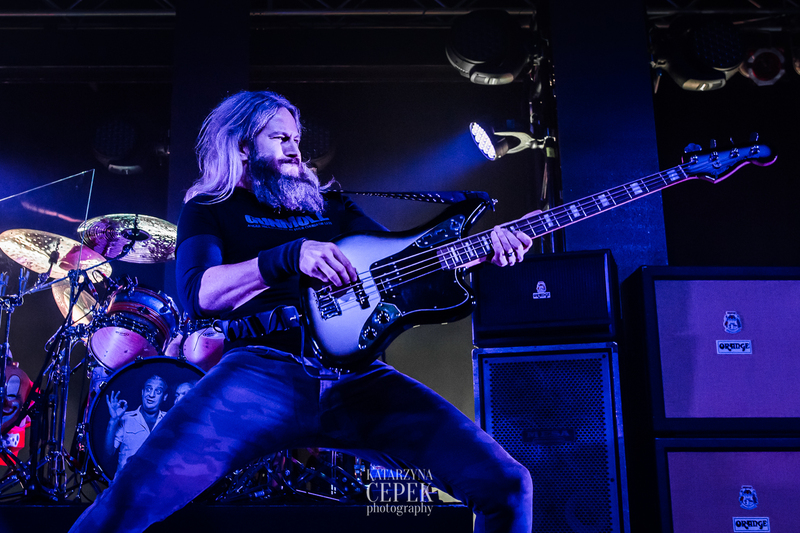 Sharing the bill with their long-time friends in Clutch and Swedish time pirates Graveyard, Mastodon tore through a 14-song setlist delivering an energetic and spirited performance befitting their majestic surroundings. 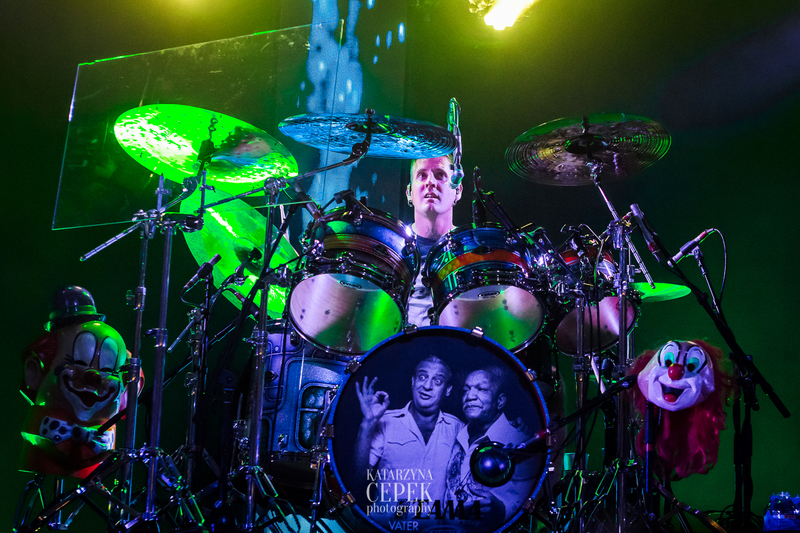 After seeing some 7 shows together–covering all eras of the band with the exception of the very early days–Brent & I were able to fully appreciate the distance Mastodon had come. From their humble beginnings playing the smallest of venues, through their progression to clubs and theaters, and now to the legendary stage at Red Rocks, it was clear that Mastodon had managed to bring their wild & unique sound to a wider audience than either of us ever thought possible. Still, the craving for a return to the more “pure” Mastodon sound lingered within us both. Neither one of us expected another Leviathan, we just wanted to once again experience that sense of awe that Mastodon had given us so many times before. Fortunately we got our wish in early 2017 with the release of Emperor of Sand. Brent would be the first to say that when he heard lead single Show Yourself he was crushed. It was the most mainstream radio-friendly song Mastodon had ever done, by a long-shot, and sonically it was right in line with their last two albums. But, as is often the case with singles, it didn’t allow for the broader context of the album to shine through. Once we were both able to fully absorb the entire album, we agreed that it perfectly captured the specialized abilities of each band member and, in doing so, encapsulated everything that makes Mastodon the unique and captivating band that they are. Save for perhaps the guttural vocals of their very early material, all the requisite ingredients are there. Troy Sanders is as fearsome on the bass as ever, delivering lines that are both heavy and nimble as an always-perfect accompaniment to the stratospheric drum work of Dailor while, Hinds–ever the eccentric–leaves his indelible mark through his trademark frantic lead guitar work and some of the best solos he’s ever laid down in studio. And all 3 bring crucial and widely divergent vocal contributions to the album–which brings me to the only member who doesn’t–rhythm guitarist Bill Kelliher. Kelliher has always seemed to me to be the true heart and soul of Mastodon; the oil–if you will–that keeps the Masto-machine churning ever forward and Emperor of Sand has his fingerprints all over it both by way of the album’s thematic overtones (his late mother’s battle with cancer) and through a collection of killer riffs that rival even their exalted earlier offerings. Listening to Emperor of Sand from front to back, it is easy to visualize the band on a familiar stage, creating an infinite supply of awe-inspiring moments as their adoring fans chant along, word for word, as we’d done so many times before. It is the perfect collision of maturity, ability, purpose, and grit. They’ve taken nearly everything they’ve done to this point–every fleeting musical idea, and every moment of personal and professional struggle–and channeled it all in a singular direction to forge an album which has planted them firmly atop the metal world. Writing this piece while trying to maintain some degree of objectivity was very difficult for Brent & I because Mastodon means so much to both of us. They have been a central part of our exploration of heavy and prog metal for over a decade and we’ve watched them come of age and reach a level of success that few would have predicted. With Emperor of Sand, Mastodon has put every aspect of their impressive body of work into one album, and we couldn’t be happier with the results. On behalf of all of us at Metal Nation, congratulations to Mastodon on their selection as our 2017 Album of the Year and as our first featured Artist of the Month!